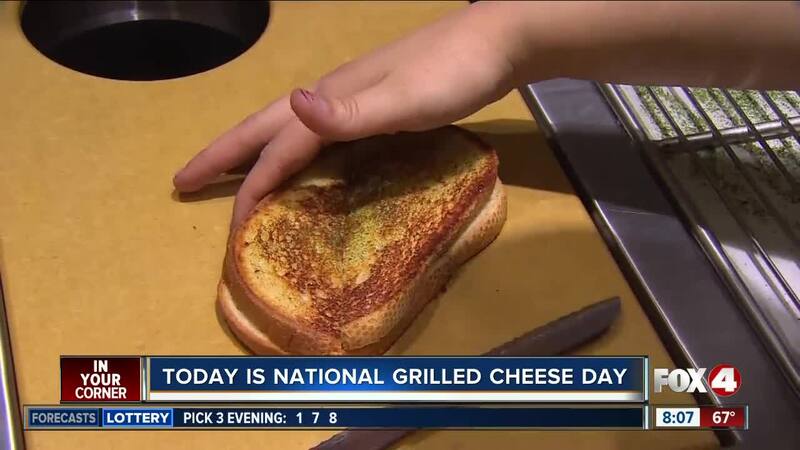 FORT MYERS, Fla. -- Friday is National Grilled Cheese Day, and you can celebrate by heading to Millennial Brewing Company's Festival of Grilled Cheese Friday night. Many local restaurants and food trucks will compete to win the title of Best Grilled Cheese in Southwest Florida and Fox 4’ morning anchor Chris Shaw will be one of the judges! There will be a special beer release at the event and vegan options will also be available. It's Friday, April 11, 2109 from 4 p.m. to 11 p.m. at 1811 Royal Palm Avenue in Fort Myers.